A perfectly delicious dish for spring, Risotto with English peas, is certainly an easy recipe to follow. 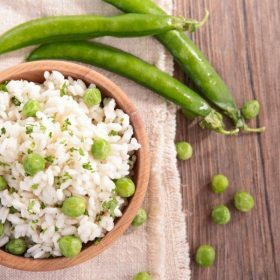 But first, let’s examine why put English peas in your risotto, or in any culinary dish you cook. You can reap a ton of health benefits from English peas. What are they? Well, below are just some of them. So yes, when your parents tell you to eat all your peas, you better listen. English peas, contrary to the name, actually did not originate in England or anywhere near it. According to evidence collected by historians and archaeologists, this plant came from China or Egypt. These vegetables have been around, and part of the human diet for more than five thousand years. 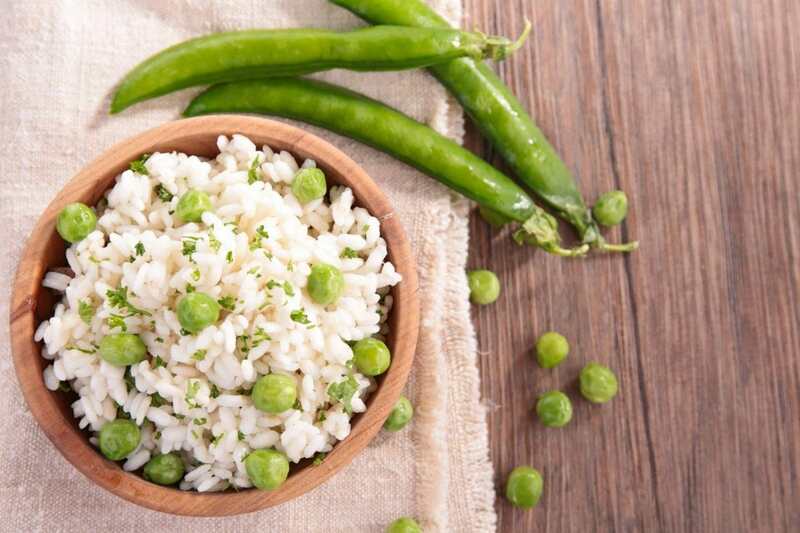 Peas became a staple food for many cultures during the Middle Ages. English peas are botanically classified as fruits, since it develops from a flower and contain seeds. Fresh English peas grow in late spring and early summer. The biggest producer of peas is the Land of Maple, Canada. 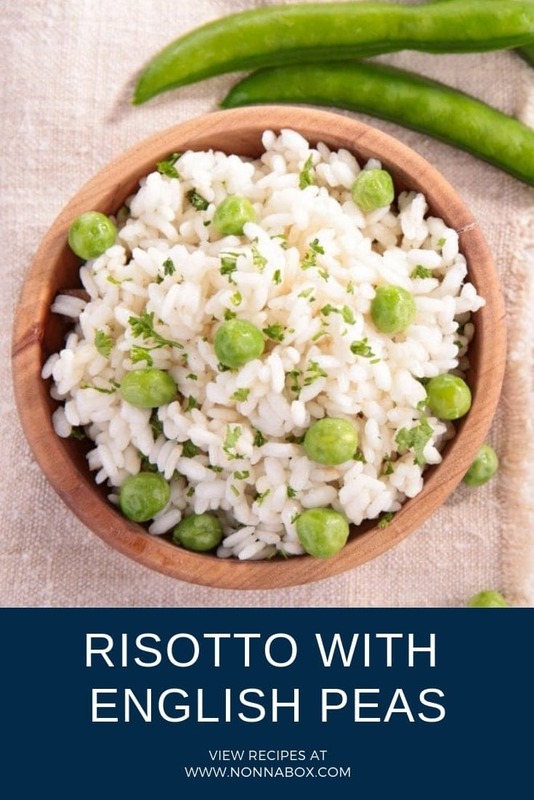 Now, on to the good part… how to make risotto with English peas. Bring the peas to a boil in salted water and cook for 2 minutes. Drain, immerse in ice water, and then drain again. Set aside. Melt the butter in a large heavy-bottomed saucepan over medium-high heat. Add the rice and garlic. When the rice begins to sizzle, add the wine. Stirring constantly, wait for the liquid to almost completely evaporate. Start adding the stock, 1 cup at a time, stirring constantly. Wait for the liquid to reduce between additions. Continue cooking and adding stock until the rice is al dente and the mixture is creamy, about 20 minutes (you may not need to use all of the stock). Mix in the peas, season with salt, and top with Parmesan cheese. If you don’t care much for peas, perhaps you’d like risotto with delicious-smelling porcini mushrooms instead. There’s a lot of health benefits when consuming peas. It includes protein, it can be an antioxidant and a good source of vitamins that’s why I always make sure to give this to my family and serve it with love. Thank you for this information nonna box!